After two succesive weeks at the seaside I decided to go back to the woods for this week’s parkrun with a trip to Rushmere. This is Rushmere parkrun, not to be confused with Rushmoor parkrun which is in Aldershot. Rushmere is just to the north of Leighton Buzzard. 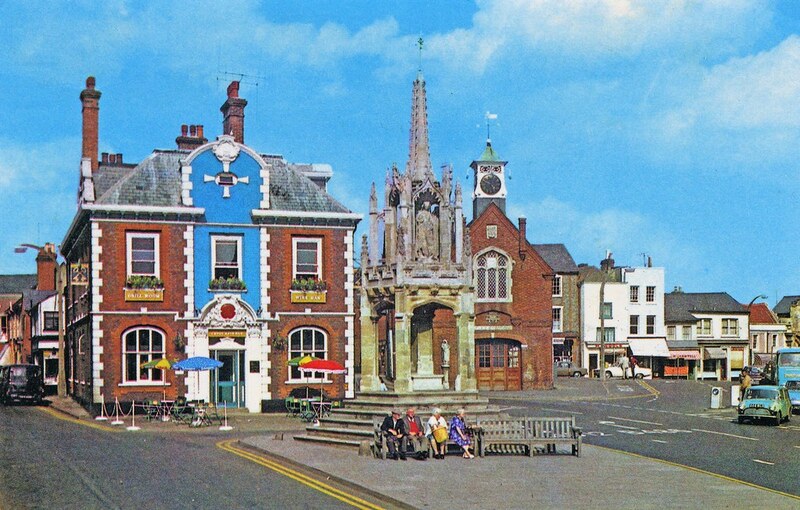 Leighton Buzzard was already an important market town, even before the Norman Conquest. In 906 AD the Saxons and the Danes signed a peace treaty at the Ytingaford crossing on the river Ouzel between Leighton and neighbouring Linslade. The local council recently acquired a plot of land on this stretch of river and named it Peace Meadow. Leighton continued to grow and prosper over the centuries. One big turning point in its history was the building of the Grand Union Canal in 1800. It placed Leighton on a north/south trading route, allowed coal to be brought in from the north and turned the local sand industry into a nationwide one. Leighton sand was used to make the glass in some of Britain’s finest buildings and Leighton sand still today is used to filter much of Britain’s water. The coming of the railway in 1839 opened the place up to commuters and to the development of various industries. Leighton was originally the home of Morgan cars and in the wars it became an important site of aircraft production. Nowadays Leighton is home to around 37,000 people. To the north of Leighton lies a large area of woodland, the remains of an ancient forest mixed in with some more modern conifer plantations. They lie next to the wonderfully named village of Heath and Reach. 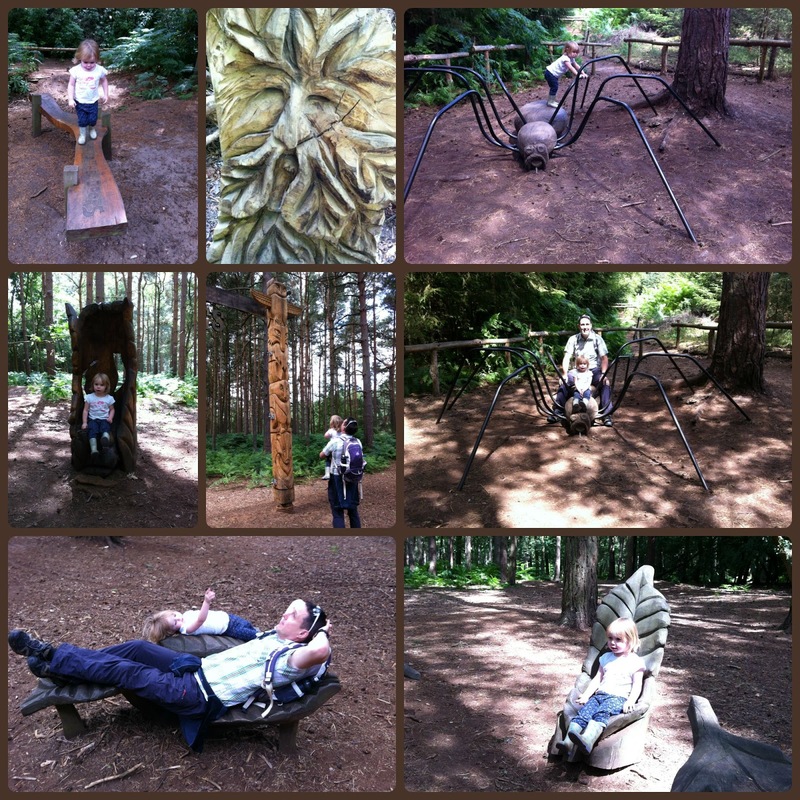 There are two country parks here, Stockgrove and Rushmere, although for practical purposes they operate as one huge woodland park. The woods are managed by the Greensand Trust and in the middle they have constructed a car park, a visitor centre and a café. There is a playground, cycle trails and a picnic area with benches. The forest is also dotted here and there with sculptures for the visitors to enjoy. The parkrun course starts and finishes by the café and comprises two roughly rectangular laps. It’s mainly on dirt paths and tracks which can get a bit muddy at this time of year (though it was fine today) It’s an undulating course including one quite steep descent in the middle. Rushmere has been going for around three years and usually attracts around 150 starters. (133 today) It might attract a few more regulars if it didn’t cost £3 to park but then I guess the Greensand Trust has to make some money to maintain the forest. It was a freezing cold morning and, looking back, I think I should have maybe worn a little more clothing. I was shivering in shorts and t-shirt. We set off down the main path and I was moving quite well. I struggled a bit on the steep descent. My elderly joints can’t stand too hard pounding so while younger runners charged down the hill, I tiptoed down more carefully. I completed the first lap in around 10:30, which was okay. I managed to overtake one person on the second lap but was myself overtaken by one other runner so I remained in sixth place. My final time was 21:24, which was one of my slower times of the year but that was okay - it was a testing course on a freezing cold day. It wasn’t my kind of course but if you like charging through the woods then you’ll love this parkrun. It also has good facilities near the start/finish and a friendly atmosphere. So check it out one week. My statistics for today ...that was parkrun venue number 187. I was first in my age group and first overall on age graded scores. To finish, as usual, I shall insert a YouTube video to give you a little glimpse of the course. Here it is!